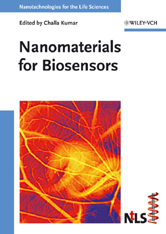 This volume combines the chemistry and materials science of nanomaterials and biomolecules with their detection strategies, sensor physics and device engineering. In so doing, it covers the important types of nanomaterials for sensory applications, namely carbon nanotubes, fullerenes, fluorescent and biological molecules, nanorods, nanowires and nanoparticles, dendrimers, and nanostructured silicon. It also illustrates a wide range of sensing principles, including fluorescence, nanocantilever oscillators, electrochemical detection, antibody-antigen interactions, and magnetic detection.